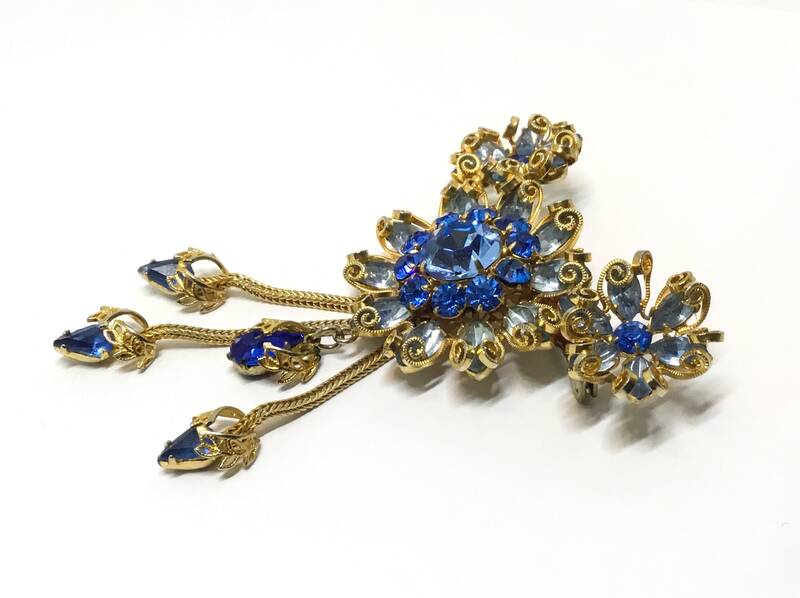 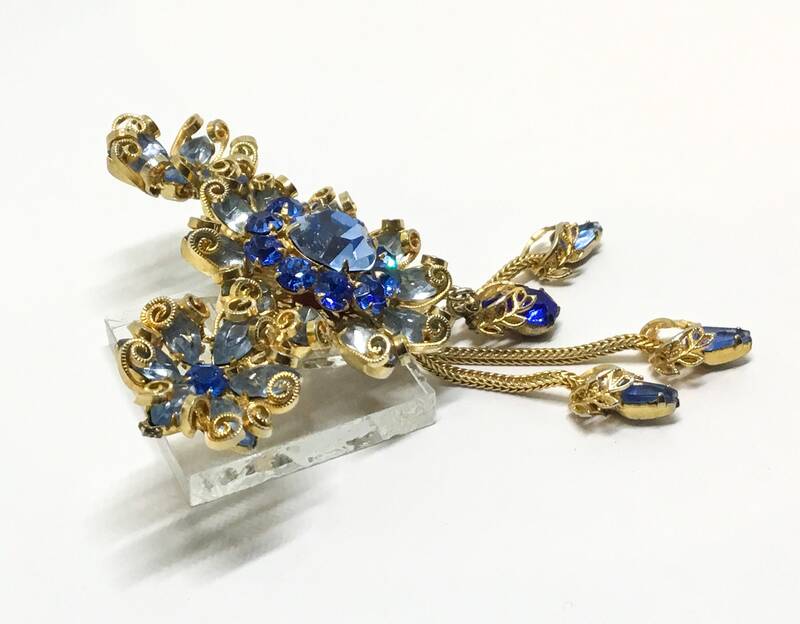 This is an amazing vintage goldtone blue rhinestone floral brooch with dangles. 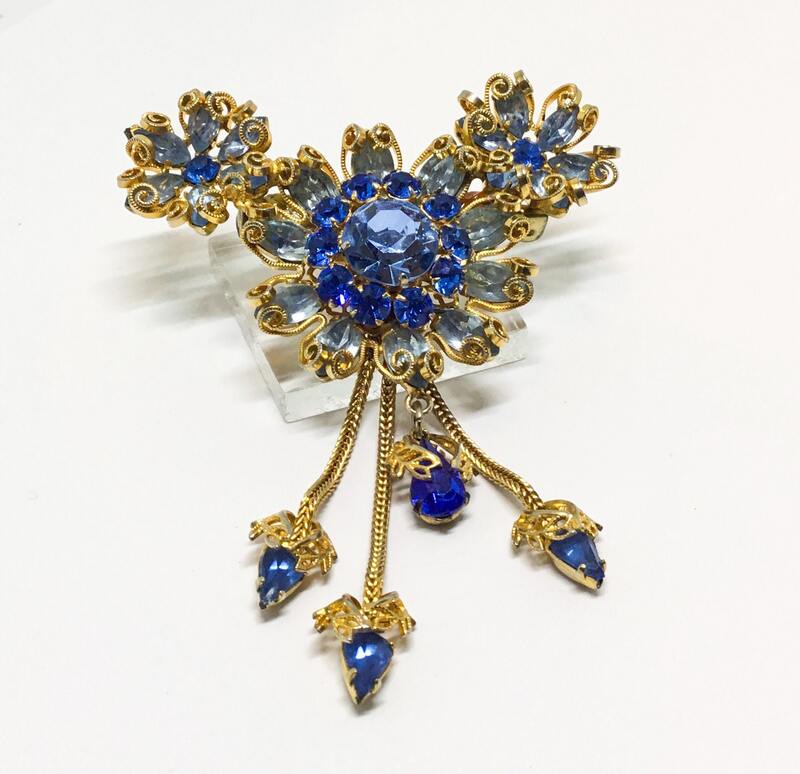 There is a large center flower with a smaller flower offset on either top side. 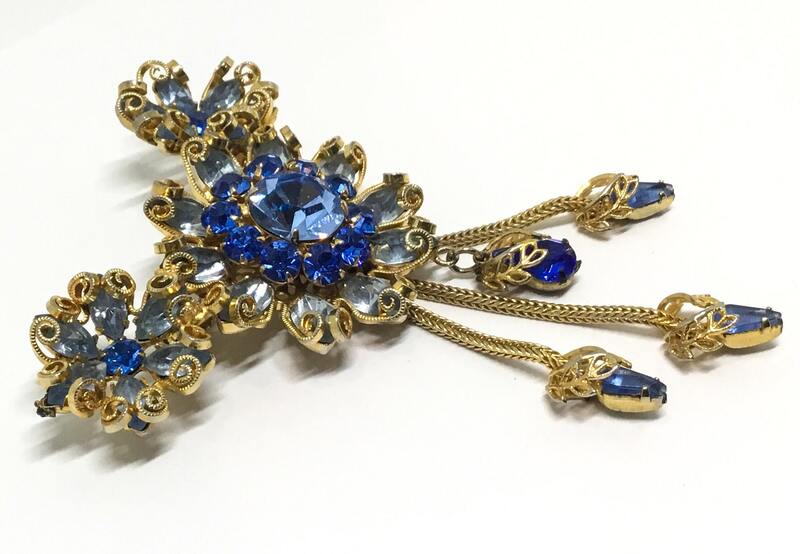 The shades of blue rhinestones are all closed back, faceted, and prong set. 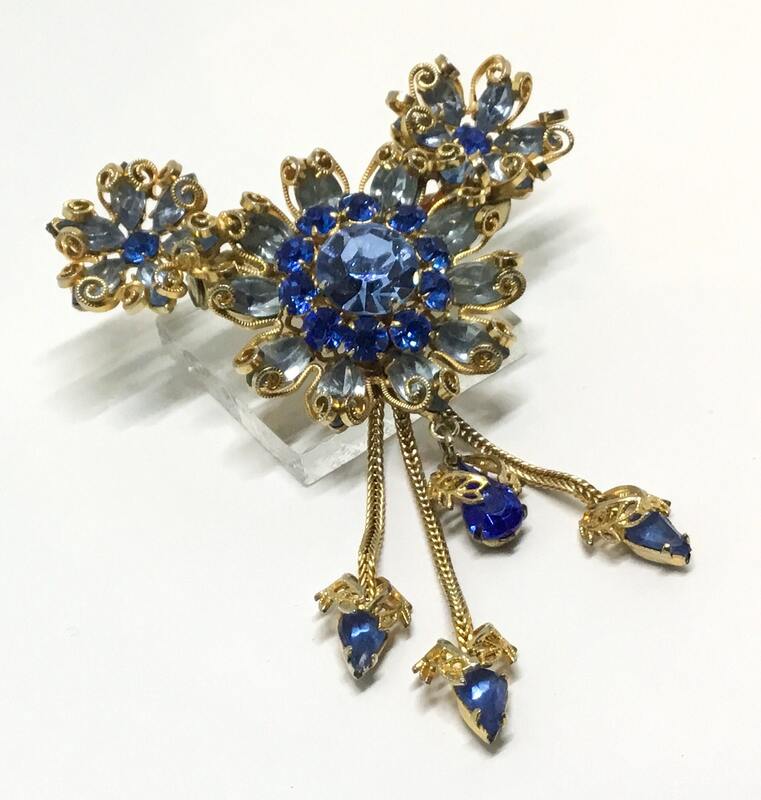 The outer blue rhinestone petals end at the tip with goldtone filigree swirls. 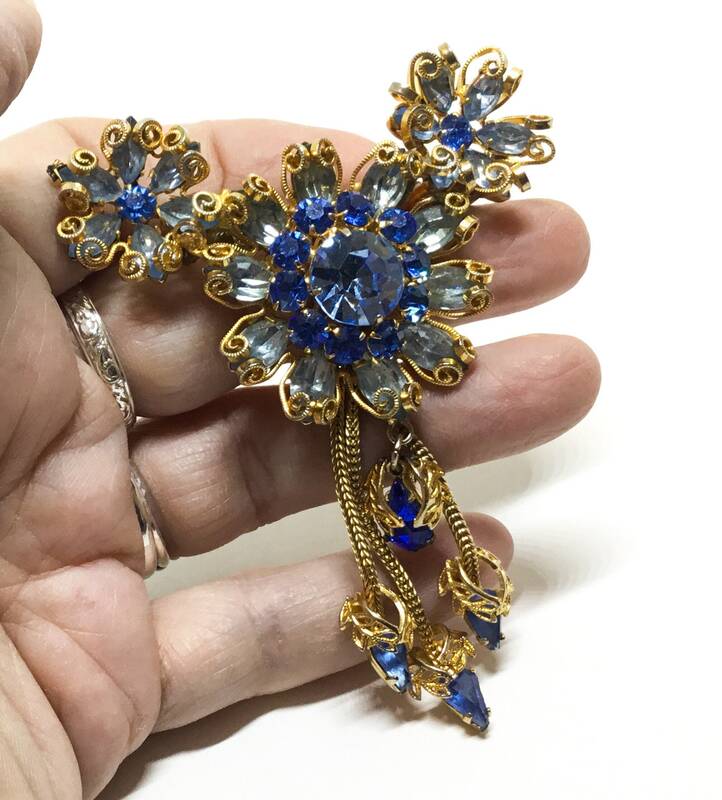 Off the bottom large flower is a single blue rhinestone drop and three smaller rhinestones on goldtone chains that have goldtone leaf filigree caps. 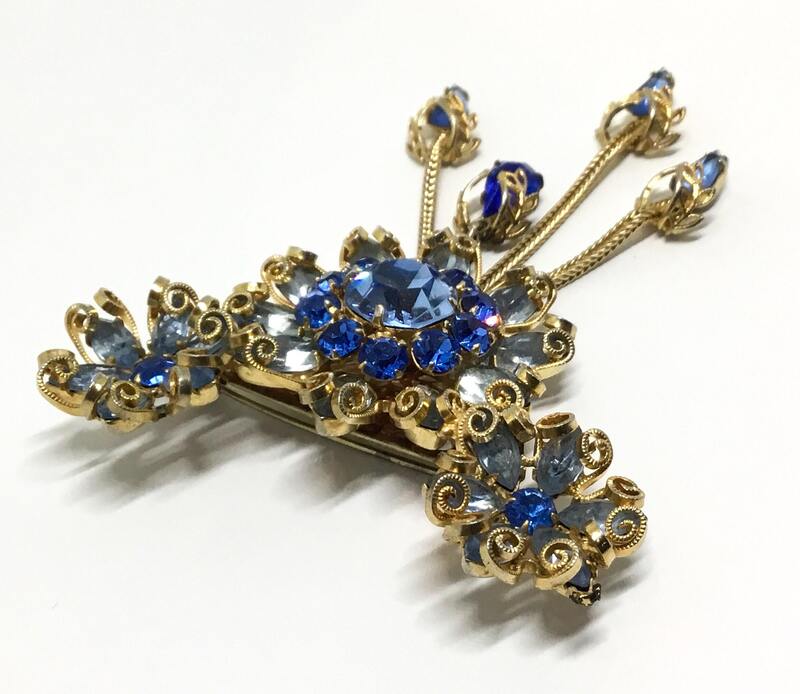 It measures 3 1/4” x 2 1/2” and the pinback is straight and works smoothly and securely. 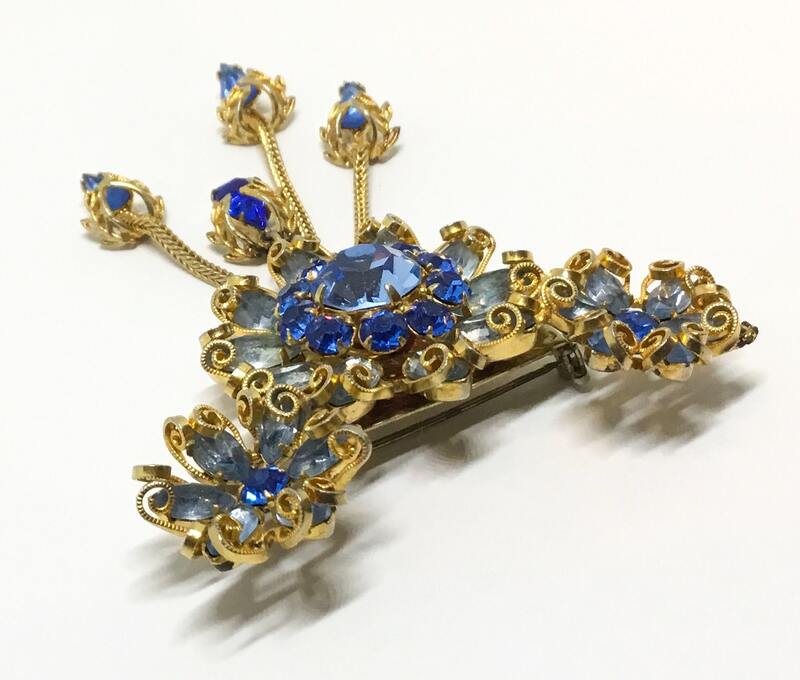 There is some wear to the back of the brooch. 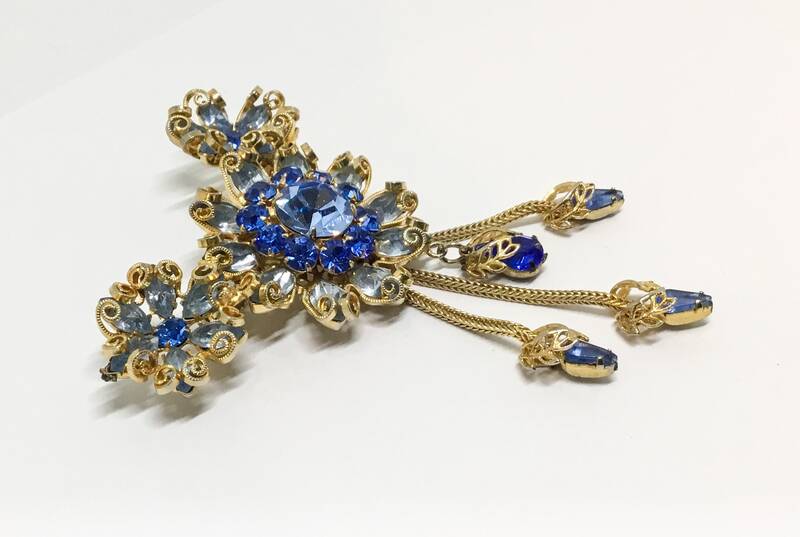 A fabulous large showy brooch with vibrant blue rhinestones and lots of movement with the dangles. 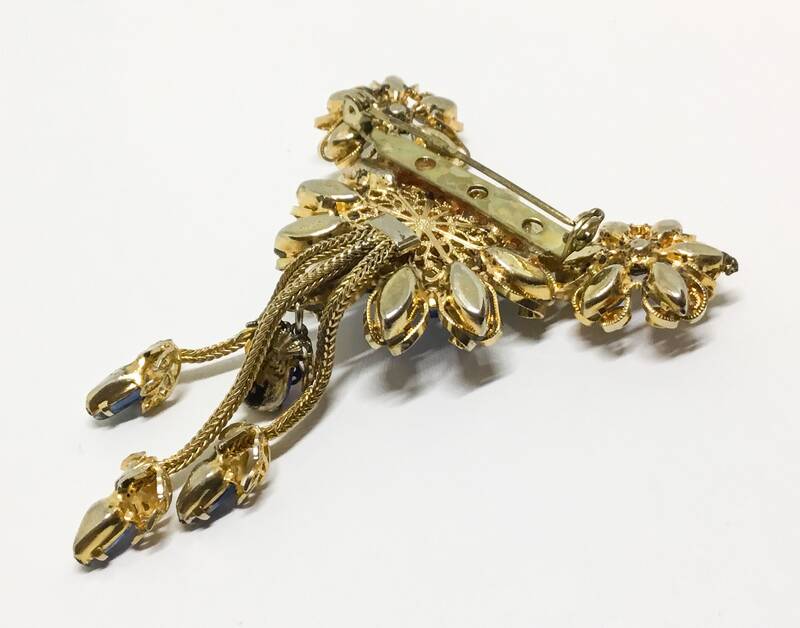 A brooch any collector would love to own...or for Mom on Mothers Day.....or how about a treat for yourself!